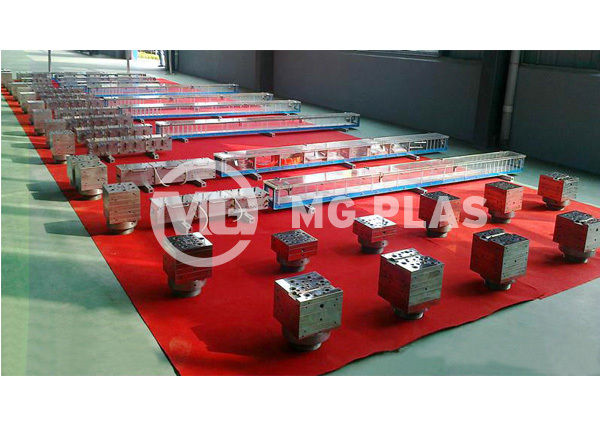 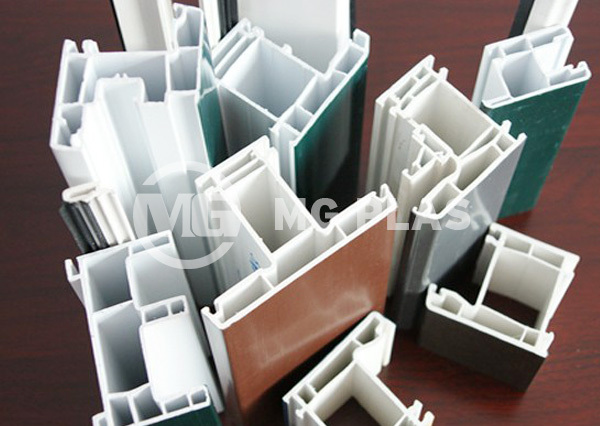 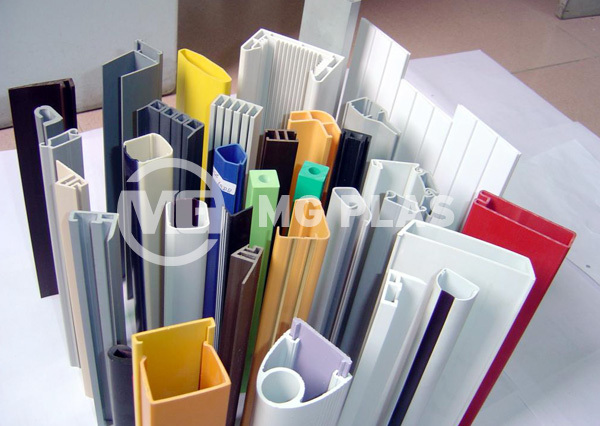 PVC profile extrusion line can be used to produce the pvc window and door profiles, ceiling profiles, wide boards like windowsill, etc. 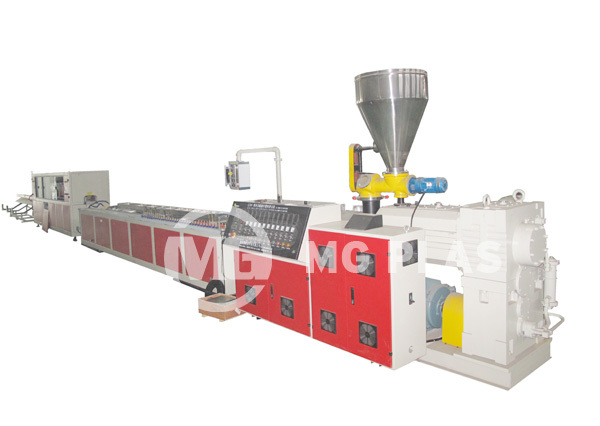 As usual, one complete PVC profile extrusion line includes the materials mixing unit, extruder, calibration table, hauling machine, cutter and stacker, as well as the crusher and miller for reuse of waste and rejected profiles. 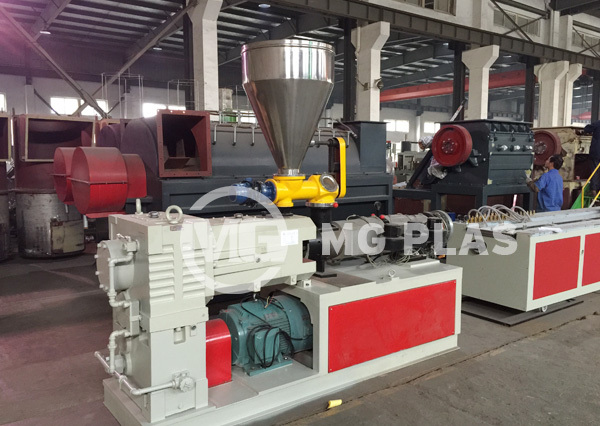 1, Even mixing, complete plasticizing, steady extrusion and molding. 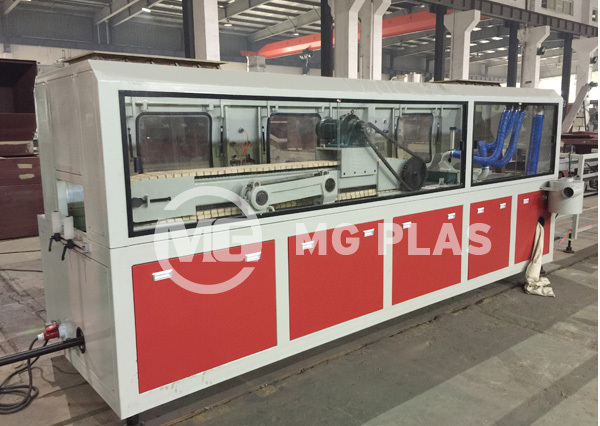 2, High working efficiency, less energy consumption. 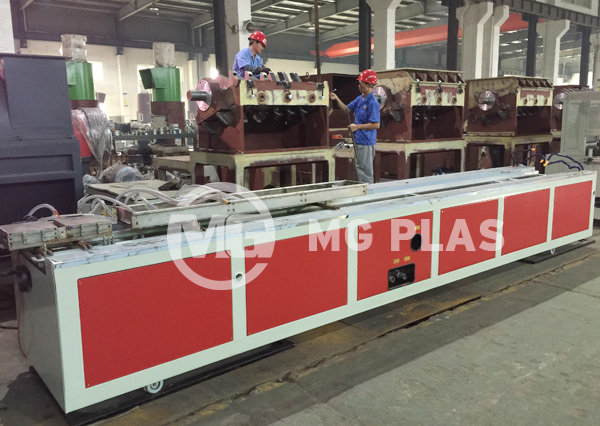 3, High automation, less man power.